A fine curb chain by formed from classic 9ct yellow gold. Wear alone for a subtle touch of style, or layered for a personalised fashion look. Chain measures 20". 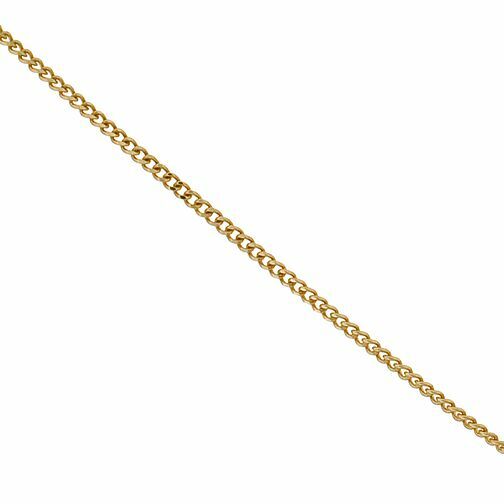 9ct Gold Fine Curb Chain 20" is rated 4.1 out of 5 by 26. Rated 4 out of 5 by Anonymous from Fantastic My item arrived so quickly and in perfect condition. It was a gift for my mom and she was truly delighted. Stunning. Thank you !